Lawrence Joseph Jansen (July 16, 1920 – October 10, 2009) was an American right-handed pitcher and coach in Major League Baseball. A native of Oregon, he played minor league baseball in the early 1940s before starting his Major League career in 1947 with the New York Giants. Jansen played nine seasons in the big leagues, and was twice an All-Star, winning 122 games in all. He later coached in the Major Leagues and minor leagues, and is a member of the Oregon Sports Hall of Fame. Lawrence Jansen was born in Verboort, Oregon, on July 16, 1920. He was raised in the community of Verboort located near Forest Grove in Washington County where he graduated from Verboort High School in 1938. While still in school Jansen started his baseball career playing semi-pro ball, but in 1940 was discovered by a scout and started playing for the Salt Lake City Bees, a Class C club at that time. Jansen married the former Eileen Vandehey that year, and they had 10 children. In 1941, he started playing for the San Francisco Seals in the Pacific Coast League, but in 1943, given the choice between being drafted to fight in World War II or taking a deferment to work on the family dairy farm back in Oregon, he chose the latter. He played semi-pro ball there part-time and returned to the Seals late in the 1945 season. Jansen was a key member of the New York Giants' starting rotation from 1947 to 1953, twice winning more than 20 games. He was purchased from the San Francisco Seals of the AAA Pacific Coast League after leading that league in wins (30), earned run average (1.57) and winning percentage (.833) in 1946. In his rookie major league season in 1947, Jansen won 21 of 26 decisions, leading the National League in winning percentage (.808). He finished second in the voting for Rookie of the Year behind the Dodger's Jackie Robinson. He pitched five innings of one-hit scoreless baseball in the 1950 All-Star Game, which lasted 14 innings. In 1951, he paced the NL champion Giants with 23 victories and helped lead their improbable August and September comeback against the Brooklyn Dodgers. Jansen was the winning pitcher in the famous game on October 3, 1951, featuring the Shot Heard 'Round the World. Jansen, however, lost his only two decisions in the 1951 World Series. Jansen also won 19 games (1950) and 18 games (1948) for the New York club. As a sign of the low salaries of even accomplished players in the mid twentieth century, Jansen worked in a hardware store in Forest Grove, OR during the off seasons of his best years. 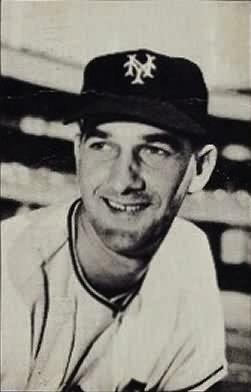 Arm miseries kept Jansen from a major role in the Giants' 1954 world championship; indeed, he spent part of that season inactive, as a coach. His playing career ended after eight appearances with the 1956 Cincinnati Reds. During his nine-year NL career, Jansen won 122 games and lost 89 (.578) with an ERA of 3.58. After coaching and managing in the Pacific Coast League with Portland and Seattle, Jansen returned to the Giants, now based in San Francisco, as pitching coach in 1961. During his eleven seasons in that capacity, he helped develop future Hall-of-Famers Juan Marichal and Gaylord Perry, and the ballclub made appearances in the 1962 World Series and 1971 National League Championship Series. He then moved on to his final MLB coaching job, handling pitchers for the Chicago Cubs in 1972–73, working for his old Giants manager, Leo Durocher, and then his former teammate, Whitey Lockman. After retiring from baseball, he returned to Oregon where he sold real estate. He was inducted into the Oregon Sports Hall of Fame in 1980. Lawrence Jansen died in his sleep in his hometown of Verboort at the age of 89 on October 10, 2009. The cause of death was congestive heart failure and pneumonia. In retirement, Larry Jansen (along with his co-author, George Jansen MD and illustrator Karl van Loo), left behind in book form his accumulated wisdom on every aspect of pitching in professional baseball: "The Craft of Pitching" (Masters Press, 1977). ^ a b c d e f g h Fentress, Aaron (October 12, 2009). "Local MLB legend, pitcher Larry Jansen passes away at 89 in his hometown of Verboort". The Oregonian. ^ a b , Wednesday, October 14, 2009.The New York TimesGoldstein, Richard. "Larry Jansen, Giants Pitcher, Died at 89,"
^ "Baseball". Inductees. Oregon Sports Hall of Fame and Museum. Retrieved 2009-10-16.